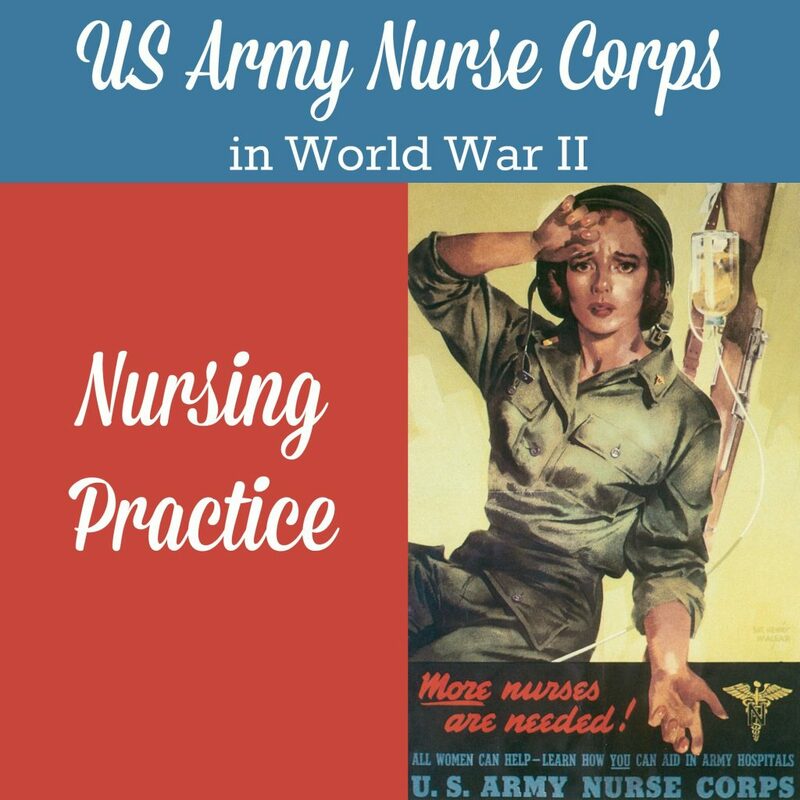 During World War II, members of the US Army Nurse Corps took care of the sick and wounded throughout the world, often in dangerous and difficult conditions. 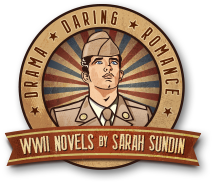 These brave women inspired four of my novels (A Memory Between Us and the Wings of the Nightingale series), so I’m sharing a four-part series on US Army nursing during the war. On the ward, the nurse was in charge, under the authority of the physician. She was assisted by male medics, who were enlisted men. 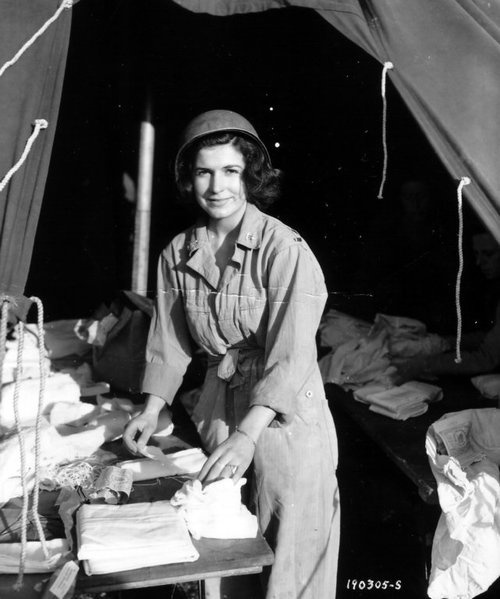 In stateside hospitals, female Red Cross nurses’ aides also served. Physicians entered the Medical Corps with the rank of captain and only male physicians were admitted to the Corps. As was typical in the 1940s, physicians expected unquestioning, speedy obedience from nurses. However, the war shook things up. The necessities of combat meant nurses were often asked to perform new tasks and were given more authority, especially in combat zones. For the first time, nurses administered anesthesia and gave intravenous medications and fluids. Also, flight nurses were completely in charge during flight and had authorization to treat many medical emergencies. The nurse was responsible for keeping the ward properly heated and ventilated, and for cleanliness, orderliness, and quiet—often difficult in combat theaters. She and the medics changed linens and helped the patients bathe, shave, brush teeth, change clothes, and use the bedpan or urinal. They served food and helped the sicker patients eat. Alcohol rubs were given to relax patients and prevent bed sores. Nurses took careful notes, stored by the bedside, to monitor patient health. TPRs (Temperature, Pulse, and Respiration) were recorded at regular intervals, at least twice daily. A glass mercury oral thermometer was used. Blood pressure was measured in certain patients as well. Physicians relied on the nurse’s assessment of patient symptoms—signs of bleeding or infection, weakness, restlessness, anxiety, coloring, mental condition, speech, condition of the eyes and tongue, appetite, bowel and urinary functions, coughing, and pain. Nurses were vital members of the operating room team, and in combat theaters, they often learned to administer anesthesia, close wounds, and perform other tasks. 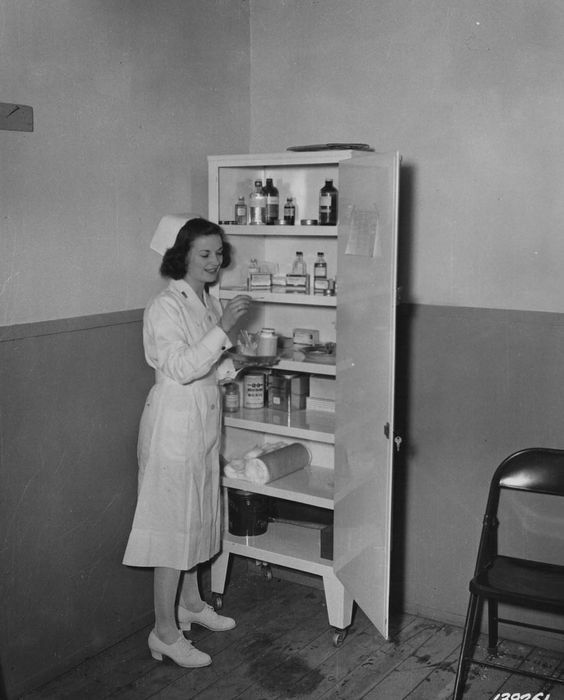 Medications were stored in the ward in a locked cabinet. The nurse was responsible for the key, but medics were allowed to access and administer medications in most instances. Nurses were trained to give medicine by mouth, hypodermic (now called subcutaneous), intramuscular, topical (on the skin), and by enema. 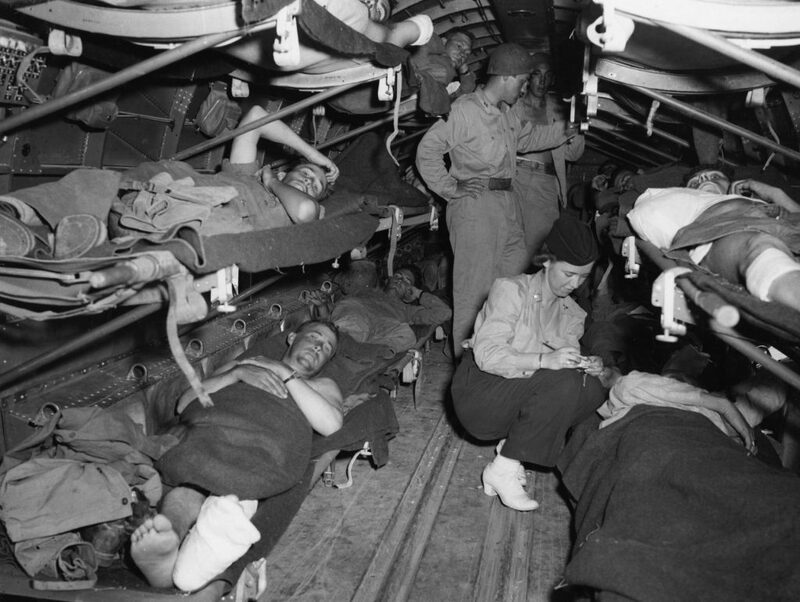 Intravenous medications were to be given only under the direct supervision of a physician; however, exceptions were made in the combat theaters and for flight nurses. This was long before our disposable, single-use, “universal precautions” era. Syringes were made of glass and were sterilized in bichloride of mercury before reuse. Gloves were washed and reused—and holes were even patched. 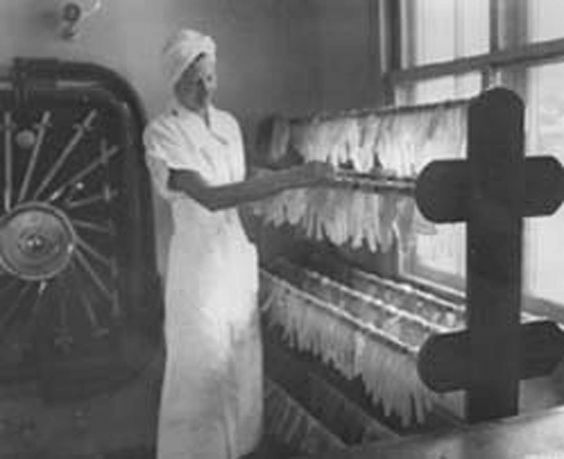 Improvisation was the rule, especially in combat areas, and nurses used their creativity and imagination to turn trash into useful items. Tomblin, Barbara Brooks. G.I. 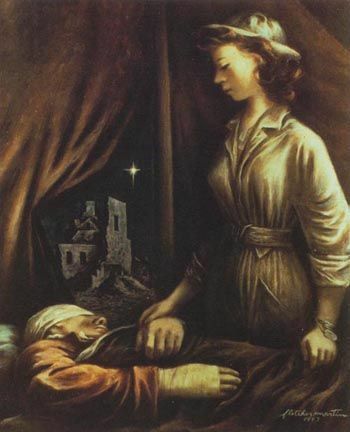 Nightingales: the Army Nurse Corps in World War II. Lexington: University Press of Kentucky, 1996. 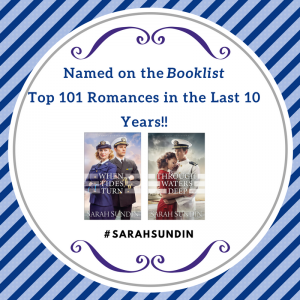 (A wonderful history, including all theaters, full of personal stories). Technical Manual TM 8-220: Medical Department Soldier’s Handbook. Washington DC: War Department, 5 March 1941. (The official Army handbook used by medics, which contains a lot of information on nursing duties). Wow, that’s crazy–washing and reusing gloves. This was very interesting, thank you for all the information about nurses. I love history and learning about it. Thank you, Shonda! I’m glad you enjoyed it. 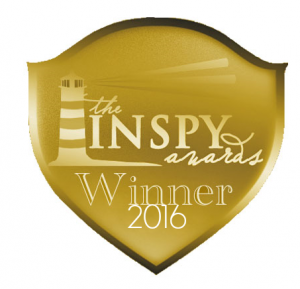 I enjoyed learning new things about the nursing profession–loved this! Thanks, Barb! I’m glad you liked it. I just finished 42 years as an RN and I thought I had it rough early on. I guess I was wrong. Thanks Sarah for this interesting piece of nursing history. You’re welcome! And the difficulties in nursing have just shifted. 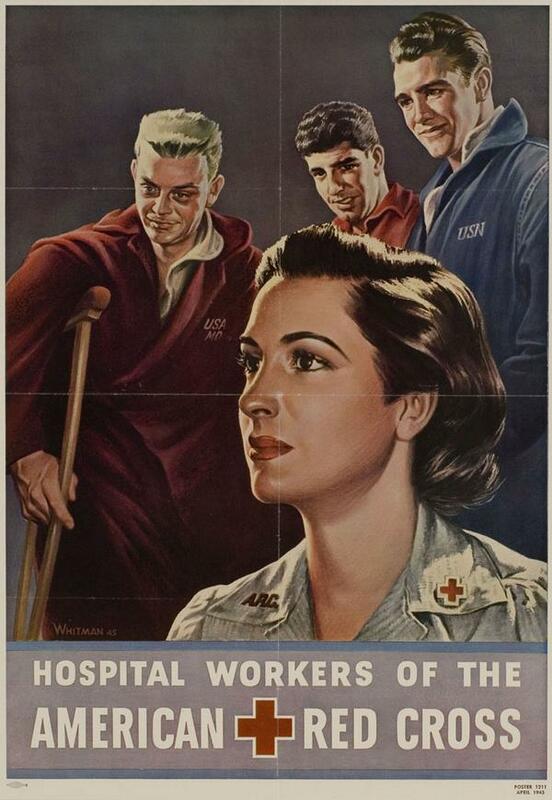 WWII nurses didn’t have the hefty 21st century regulations. My late mother, 1LT Dorothy Wilhemena (Tonnar) Macaluso, was an Army Nurse with the 110th Evacuation Hospital. She landed on Omaha Beach, one of the first medical units after the D-Day invasion. She said that they were supposed to move directly to the waiting trucks, but the trucks were not there. Graves Registration was collecting the bodies (and pieces of bodies), processing them and “laying them out” in body bags. The unit spent the night on the beach before moving out the next morning when the trucks arrived. She was responsible for stabilizing patients before surgery. When penicillin was introduced into the European Theater (people do not realize how relatively new penicillin was), she gave the soldiers their dose of penicillin. A photo of her tending to a patient with cases of penicillin around her is on display at the WWII Museum in New Orleans. I was in the last WAC Officer Basic Course in 1972 and one of my daughters graduated from West Point as a Medical Services Officer in 2007 and is still on active duty. Another great book on WWII nurses is “And If I Perish”. Thank you for visiting and for sharing your mother’s story. And what an amazing story – how harrowing for her though. As a pharmacist, I’m always astounded with how quickly they got penicillin into production. The first trials in mice were held in May 1940, and despite incredible problems in bringing the drug into production, there was a sufficient supply by D-day. That would never happen nowadays! I second the vote for “And If I Perish” – I loved all the oral history in that book. Thank you for your service and for your daughter’s as well! Three generations of military women – what a legacy! My mother was also an army nurse, with the 16th General (called that though it was an evacuation hospital), closest to the Battle of the Bulge. The nurses were housed in an old, rather rickety chateau in Fayembois, which has been refurbished and is now a nursing home. A picture of Army nurses debarking the boat that took them across the sea is on display in several museums. We took a trip last year to see where she and my father were during the war — he was with the 83rd Inf Div., and they met during the build up to the war, in Europe, and married in Paris in August ’45 at the end of the war. It was so interesting to retrace some of their life during that time. What an amazing story! I’ve seen that photo and love it. How wonderful that you were able to retrace their steps and see the locations that were so important to them – and to history. Just lost my whole post trying to submit this part! Don’t want to retype it all, let me know if you didn’t get it, I’ll try again later.